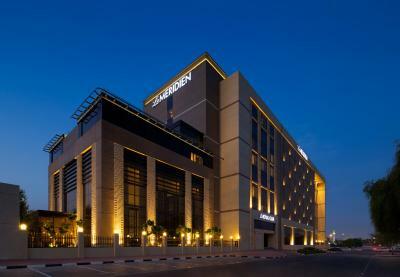 Lock in a great price for Le Méridien Dubai Hotel & Conference Centre – rated 8.7 by recent guests! It is one of my favorite hotels in Dubai. I go there when I need to do all things at the hotel without going out. 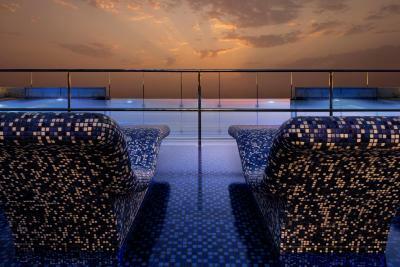 Some times `I feel the price are little high compare to other options in Dubai now a days, but still is a great facility. Staff very courteous. Rooms modern and well presented. Restaurant village behind hotel has good choice for foods. Upon arrival to the airport, we found the man standing with the sign and he made his best effort to not make us wait long. All the staff are extremely friendly and helpful. The location is perfect and all the arrangements are exquisite. The breakfast was excellent, chef prepared eggs, there was pork bacon for non-Muslims and the staff was very attentive. The customer service was GREAT! Thank you for everything. Staff very friendly and helpful. Room and complex very clean and comfortable. Breakfast excellent. My room was near poolside. Just outside entrance to the pool was seating to enjoy and relax or only a few steps and enjoy the pool. Area very clean and inviting. Room service was prompt and met every need. Staff very friendly and helpful. Checkin and checkout was smooth and quick. 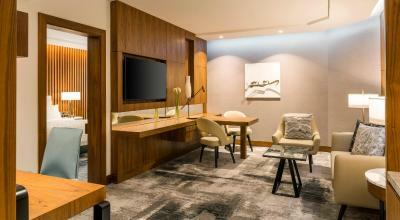 Le Méridien Dubai Hotel & Conference Centre This rating is a reflection of how the property compares to the industry standard when it comes to price, facilities and services available. It's based on a self-evaluation by the property. Use this rating to help choose your stay! One of our top picks in Dubai.Set in extensive landscaped gardens, this 5-star retreat is just 1.2 mi from Deira City. 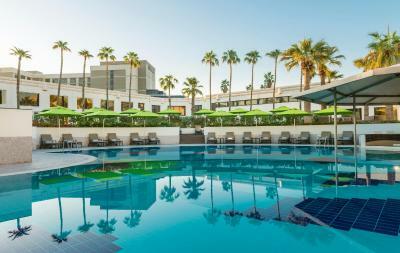 It has 4 swimming pools and 18 restaurants and bars for guests to choose from. All the rooms at Le Méridien Dubai Hotel & Conference Center are luxuriously furnished with floor-to-ceiling windows and 32-inch LCD TVs. The bathrooms include rainforest showers and bathrobes and slippers. The wide variety of on-site restaurants cater to every taste, from wood-fired oven pizzas at Casa Mia to Teppanyaki prepared at your table at Kiku. Enter a sanctuary of rejuvenation at Natural Elements Spa to discover holistic wonders that revitalize your body, mind and spirit. We offer an extensive menu of signature therapies for both male and female guests including purifying body wraps, facials and full body massages. Boost your physical strength at Natural Elements Fitness with The spacious state-of-the-art facility overlooking the swimming pools and lush gardens. Certified personal trainers can guide you through every aspect of your workout and offer a wide range of equipment's to achieve your goals. The Deira City Center Shopping Mall is 1.2 mi from Le Méridien Dubai Hotel & Conference Center, and the Gold Souk (Gold Market) is 5 mi away. 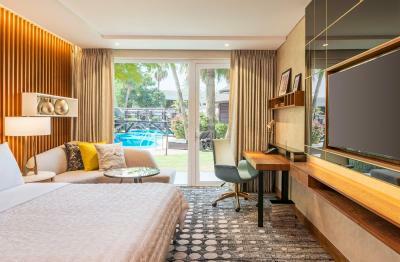 When would you like to stay at Le Méridien Dubai Hotel & Conference Centre? This double room features a spa bath, mini-bar and dining area. This double room has a flat-screen TV, soundproofing and seating area. This double room features a soundproofing, air conditioning and satellite TV. This double room has a mini-bar, air conditioning and dining area. 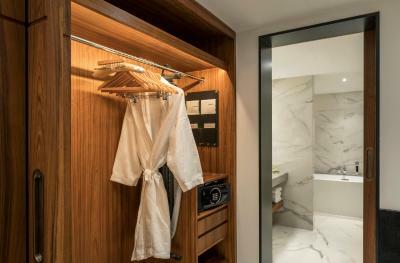 This double room features a seating area, bathrobe and sauna. This double room has a garden view, DVD player and tea/coffee maker. This double room features a seating area, bathrobe and dining area. This double room has a dining area, executive lounge access and hot tub. Sophisticated, refined and inviting, Le M_ridien Dubai is a hidden haven that enjoys an idyllic verdant setting in a city location. Hotel surroundings – This neighborhood is a great choice for travelers interested in sightseeing, shopping and luxury brand shopping – Check location Great location - show map Guests loved walking around the neighborhood! 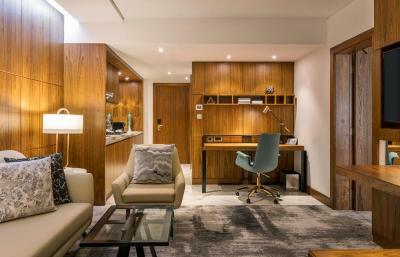 House Rules Le Méridien Dubai Hotel & Conference Centre takes special requests – add in the next step! 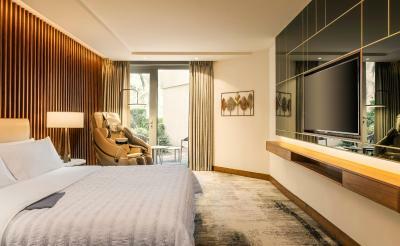 One additional child from 3 to 12 years is charged AED 120 per night in an extra bed. Le Méridien Dubai Hotel &amp; Conference Centre accepts these cards and reserves the right to temporarily hold an amount prior to arrival. Le Méridien Dubai Hotel & Conference Centre accepts these cards and reserves the right to temporarily hold an amount prior to arrival. 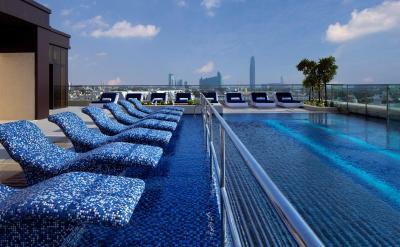 Roof top pool and facilities in the room - Massage chair was a fun experience. Very dated room that needed refurbishing. Stained carpets and tired bathroom. Awesome resort hotel. Plenty of restaurants and pools. Comfortable rooms to stay in. all the food and the facilities were amazing ! All staff were brilliant. Good selection of restaurants. Amenities very good. Overall good value for money. The room was awful. Several lights didn’t work. The AC was noisy and dusty smell from it The room smelt damp and musky The bathroom was very very very old Overall, extremely outdated.